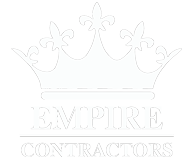 Keep your assets safe with commercial roofing services from Empire Contractors in Arlington, Texas. Our roofing company offer roof maintenance, installation, and repair at competitive rates. Also, we handle everything from full engineering design to electrical installations to commercial glass services. An ounce of prevention is worth a pound of cure, especially when it comes to roofing. We inspect and maintain roofs for commercial customers throughout the region. A careful checkup is the best way to spot problems and correct them before they cause serious damage. After a thorough inspection, we give you a free, no-obligation estimate on any repairs that are required. When our work is complete, we schedule a follow-up inspection to ensure the problem is completely resolved. Our goal is to always provide the best value for your money, so we never suggest work that is not needed. Everyone on our team is committed to building and maintaining lasting relationships with our clients by operating with honesty and integrity at all times. Most commercial buildings have flat rooftops made from strong, durable materials, but there is no one-size-fits-all solution. A shingled, high-pitched roof may work fine for a small business, while a larger facility may require a steel or concrete roof. As specialists in commercial roofing, we work with all materials and designs. Choosing the right roof now will help you avoid costly repairs or replacements down the road. If you're thinking about installing or replacing a roof, give us a call. We're always happy to provide advice and guidance on choosing the right roofing material for your property. The key to a successful construction project is clear communication between all parties involved in the project. This roofing contractor in Arlington, TX maintain open lines of communication throughout every phase of construction to ensure your building is completed on time and on budget.